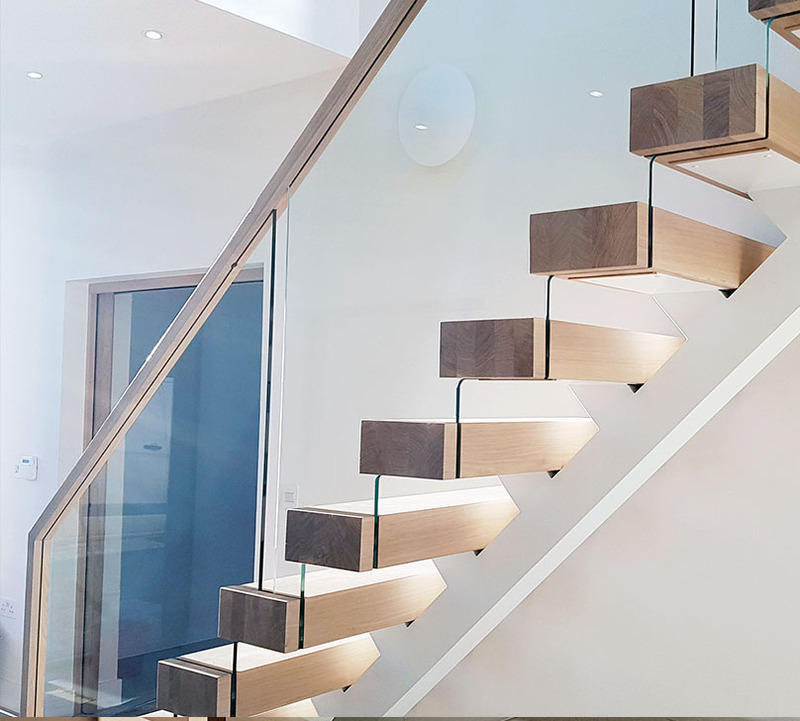 Mr and Mrs Coates came to First Step Designs with the need of a floating staircase but did not have the correct wall in position to support the design… We met with their interior designer who fell in love with our spine staircase. 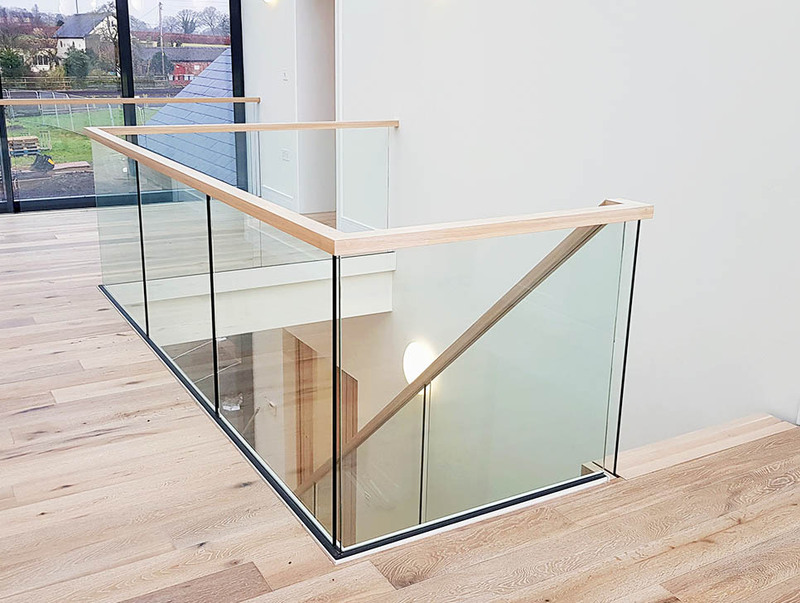 Achieving the floating effect without the need to fix to the wall, means less maintenance over the years and a feature solid timber tread fixed to a fabricated spine. 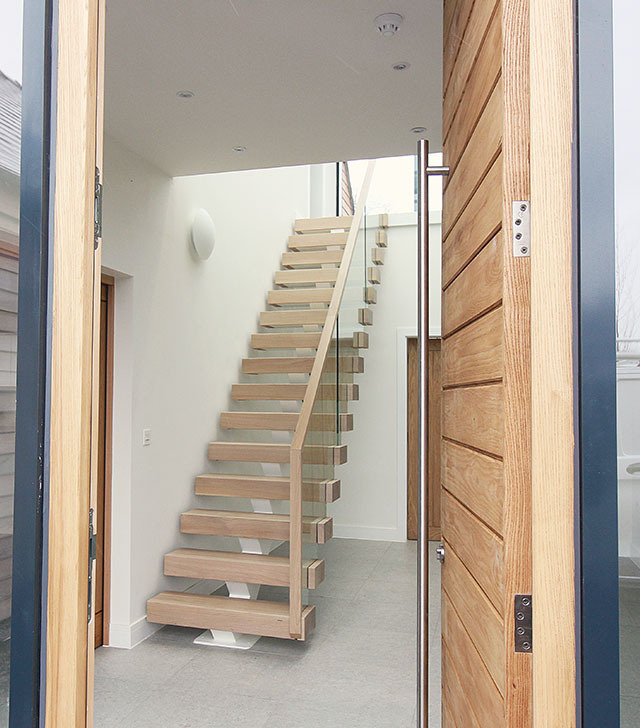 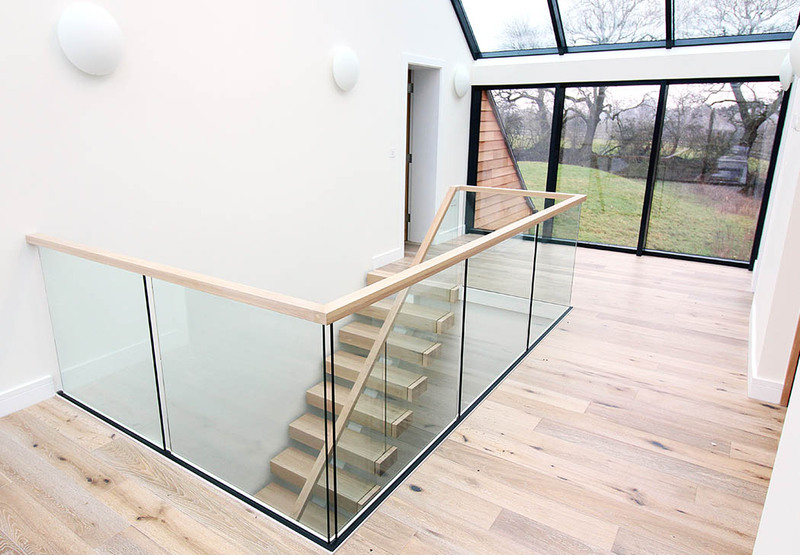 The timber frame home features glazed panels throughout the entire hallway and we wanted to allow this light to travel. 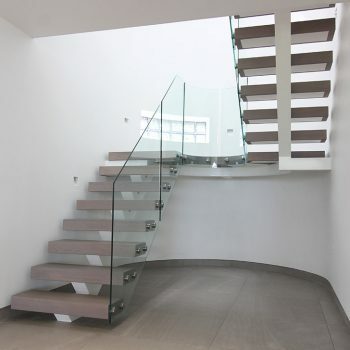 The open plan staircase features embedded glass balustrades cut to a zig zag pattern on the underside to match the profile of the staircase. 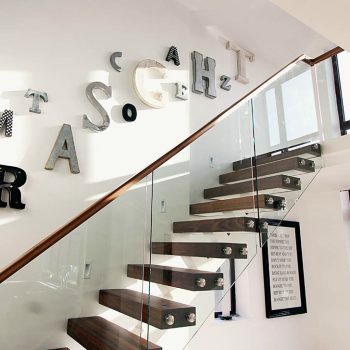 Small details that make all the difference. 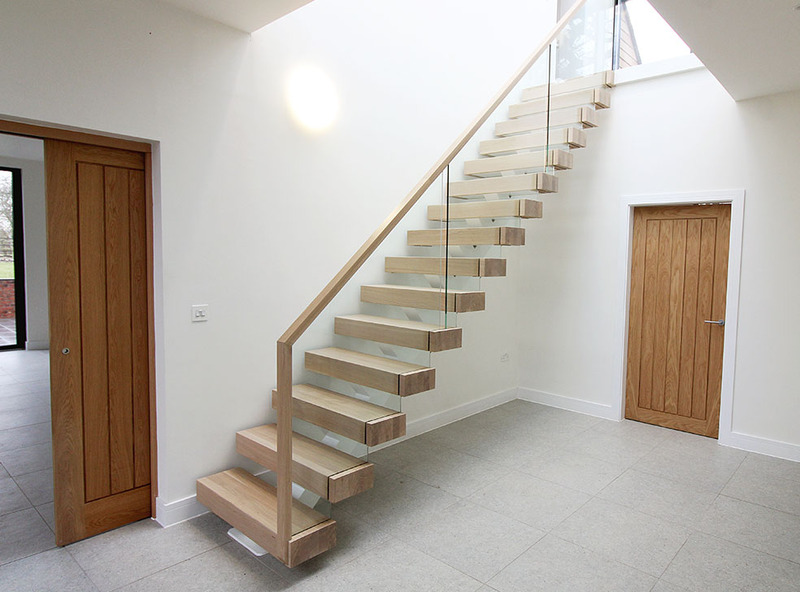 The solid oak steps were lime washed to a pale effect to compliment the upstairs flooring alongside the continuous oak handrail that flows from the very first tread of the staircase, all the way around the gallery landing. 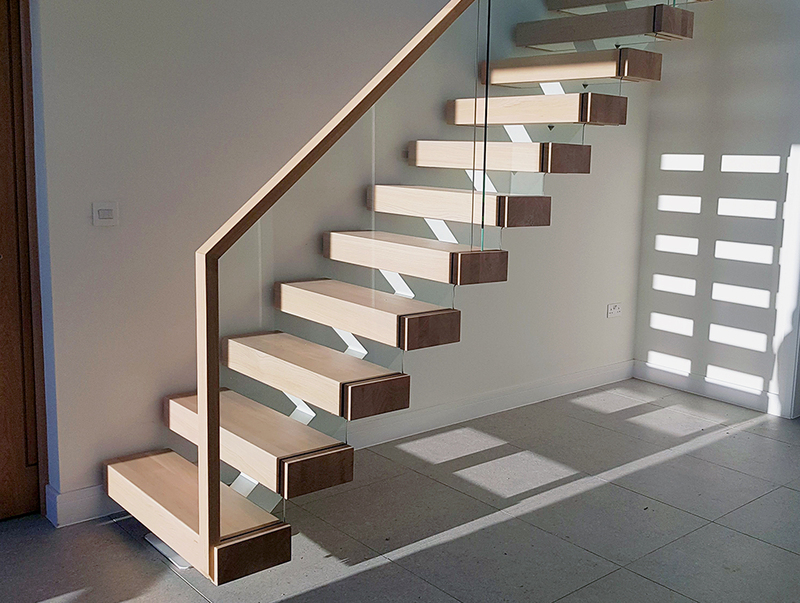 This contrast between the oak steps and the white central spine achieves the floating effect the client was always looking for. 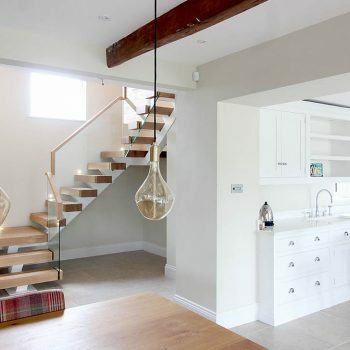 A wonderful project, for a great family.